The Happening is technically classified as a movie, and so I will talk about it. The movie is written and directed by DJ M. Night and stars Marky Mark and New Girl. The plot will be pasted from IMDB below and then we will jump right into this thing. This movie opens with most terrifying shots of clouds blowing in the wind in movie history. I shudder in pure terror when I look up at the sky. Damn you DJ M Night! We cut to a park in NYC. Everyone is mysteriously affected except one girl. I don’t know how or why this movie is not focused more on this girl. What is her powers? Is she the key to the cure of plague? Cut to Marky Mark the teacher talking about bees to his class. He tries to engage an actor DJ M. Night casted to be beautiful, and delivers a great monologue regarding the importance of science. The masterpiece line within the monologue is “…your face is perfect. The problem is, your face is perfect at 15”. When Mark’s dead eyes stare at this poor kid actor’s, it’s not bad acting, it’s him realizing this poor kid will never get another job in this town thanks to this movie. The principal calls in all the teachers to brief them about what is happing in the world. The principal is Cameron Frye. Is nobody else’s mind blown that Cameron from Ferris Bueller’s Day Off is the principal of this school? Is there a Ferris type in this school that is making his life living hell? How many doors got closed after crashing his father’s car, that he ended up being the thing he hated? Why isn’t this movie not focused more on Cameron? The news in this world is so efficient, that minutes after people started killing themselves they know everything. Every exact detail regarding what the toxin does and how it affects the human brain. It’s almost as if they are reading off a script designed to give the audience a form of exposition or something like that. So, let’s call this Exposition Scene One, because I need to keep track of them. So, New Girl is married to Marky Mark, and apparently, their relationship is on the rocks. This could either be because she is a wooden doll during this movie or that she is cheating on him. Not only did she cheat on him, she dared to eat a tiramisu, the sexiest of desserts as everyone knows, with the man. I don’t know what’s worst, to think she would betray Marky Mark’s abs, or her acting. Where is Cameron? A zoo keeper commits lion suicide. We get another news scene, in where the again know everything. It’s almost as if DJ M. Night thought his audience needed more exposition. This would be Exposition Scene Two. We finally meet the character that in IMDB is listed as “Nursery Owner”, but for purposes of this review he will be known as “Hot Dog Guy”. He freaking loves hot dogs and conveniently knows a lot about plants. He knows a lot. Moving right along. Everyone is making a circle around a woman talking to her daughter on the phone. Marky Mark so rude, while she is trying to talk to her daughter, he keeps interrupting her. The daughter kills herself so Marky got bored and just walked away from the situation. Now that we don’t have the news for exposition, the job falls on Hot Dog Guy’s hands. He explains how it’s possible for a man to write an entire movie centered around plants killing humans off by using toxins in the air. This would be Exposition Scene Three. Now so far, the movie’s logic has been airtight (get it? ), but here is where it gets confusing. There are two groups separated by barely a mile. The toxin is released in the air and only one group is affected. They finally accept that the plants are killing them and that they need to be ahead of the wind. They out run the wind for a while but it catches up to them and it doesn’t make them kill themselves… why? According to Marky Mark, size matters. Size of the groups. Marky Mark talks to a plastic plant. Sadly, Hot Dog Guy is dead and there is still no news, so who will give the audience the exposition needed? Marky Mark. He oversees Exposition Scene Four. A guy kills himself with a lawnmower. They get to a house that is boarded up and they won’t let them in. Josh, a random kid they picked up, goes rogue and starts calling them bad names. Apparently in this house they don’t wash kids mouths with soap, they put a shogun to their gut and pull the trigger. They also killed the other kid, but I’m guessing he thought about bad words since the gun went to the head. Luckily for Marky Mark, the news is back and in charge of the exposition the audience desperately needs. Marky Mark is reeling from witnessing to kids getting violently murdered in front of him. This would be Exposition Scene Five. They stumble upon a farm where they are growing crazy old ladies and they meet one of the ladies. She is the nicest, meanest, weirdest, craziest person ever put to film. She goes from offering a room to sleep in, to accusing them of plotting to kill her. Marky Mark is so taken back from this drastic shifts, even his acting can’t keep up with her. There is a doll in a bed and Marky Mark thinks it’s the old lady. So, throughout the entire movie the plants were targeting big groups. Apparently, they noticed all the different personalities living inside this crazy lady, making it the largest mass killing depicted in this movie. The ending, they walk out to the blazing wind - THE MOST WIND IN THE ENTIRE FILM - and they survive. Sorry. Spoiler alert, I guess, but you already read the sentence. I guess I don’t know how to write (you already knew that), just like our good friend M to the Night. We get Exposition Scene Something, but this one is to wrap up the entire movie just in case the audience was questioning anything that happened. Key question they asked is, why did this happen. The answer given is, it’s an act of nature and we may never know why it happened. That same logic can be applied to where did the hour and thirty minutes of my life go after watching this movie. The movie ends in a cliff hanger that nobody understands, because who reads subtitles? I think it was the beginning on a mob dance but they never showed it. Wait, what ever happened to Cameron? I bet he is in some art gallery. Marky Mark’s love for science is why I love movies. The Happening is currently streaming on HBO Go, it’s scientifically proven that you should watch it. If you like this review let me know in the comment section down below. 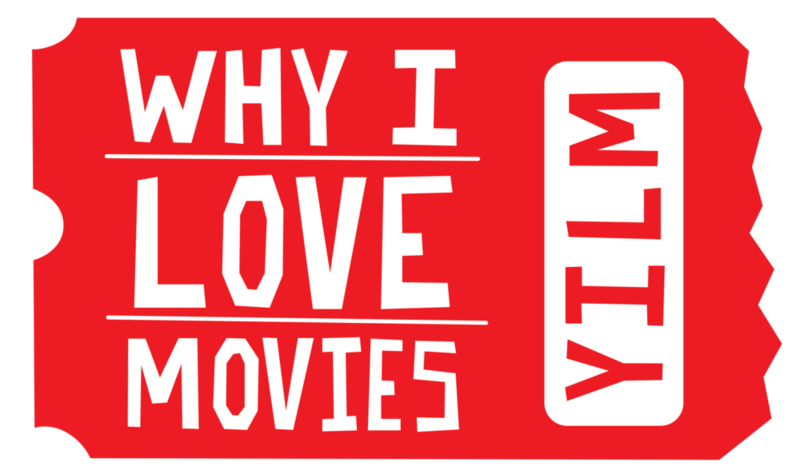 Also follow me over at Twitter (@yILovemovies) so you can be up to date with all my reviews.